Deodorant is one of the most universally-consumed skincare products in the United States. That's a lot of plastic. 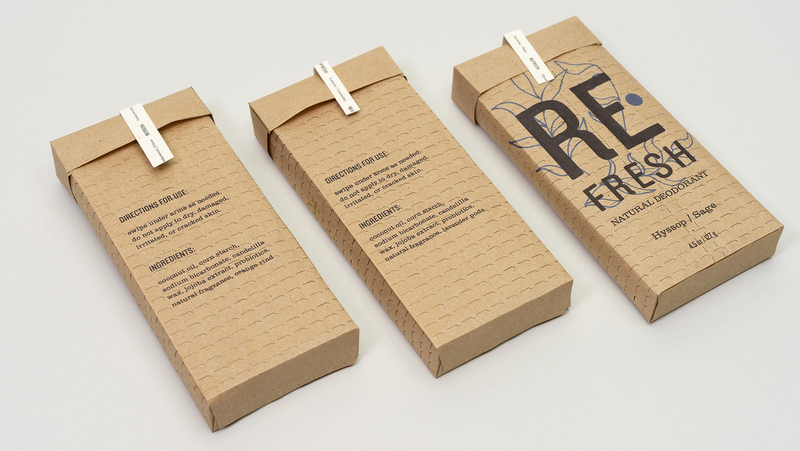 Refresh is a way to package solid deodorant that bypasses the need for complicated plastic screw mechanisms, dials, and caps by taking inspiration from wrapped charcoal pencils. 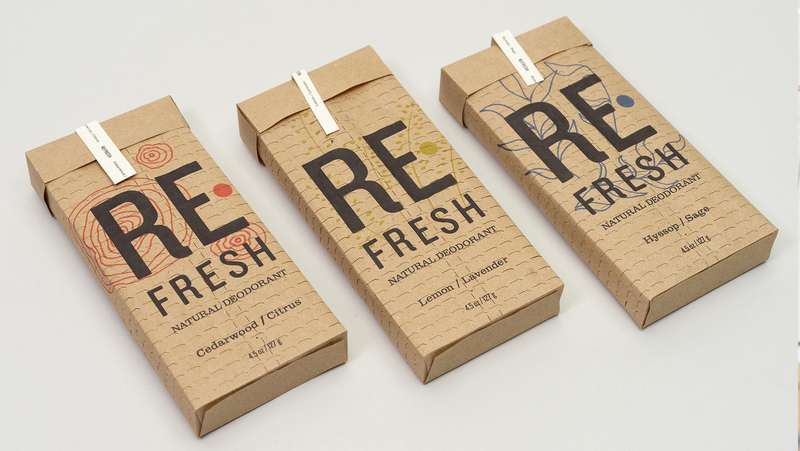 Refresh packaging is easily compostable. This idea won an COUPS DE CŒUR/Favourites in PackPlay2, an exhibition of innovative packaging design.